G.I. Joe Collector’s Club Tollbooth Reviewed! Fresh off the Christmas holiday JBL is back with another review from the latest shipment from the G.I. Joe Collector’s Club Figure Subscription Service! Once again I’m joined by “Esteemed Professor of G.I. Joe-ology” Chris Chung of JoeSightings.com to take a look at this latest release from the club. 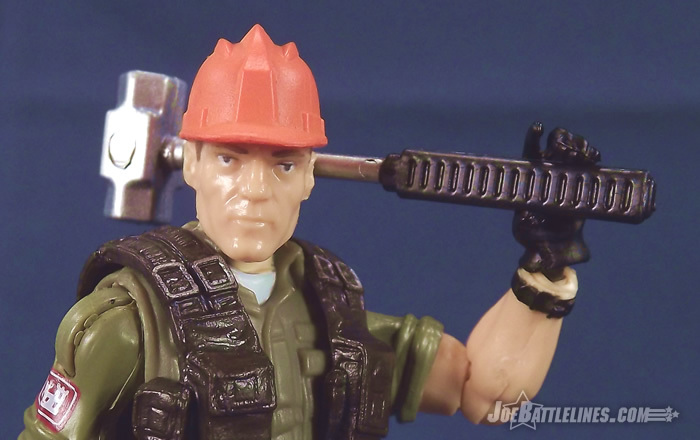 Tollbooth was one of the most hotly anticipated figures in FSS 2.0 since his reveal at this year’s Joe Con. Does he live up to the hype or is he about as exciting as a Christmas fruit cake? Check out the review in the G.I. Joe Collector’s Club Review Index and find out two Joe fans’ opinions as we reach the halfway mark of FSS 2.0! This entry was posted in Collector's Club, Reviews and tagged 1:18 scale, A Real American Hero, Collector's Club, Exclusive, Figure Subscription Service, JBL Review, JoeSightings.com, Tollbooth, Toys by Fred Meyer. Bookmark the permalink.